Finnish investor Aarni Otava Saarimaa was allegedly defrauded out of 797 million baht worth of Bitcoin. 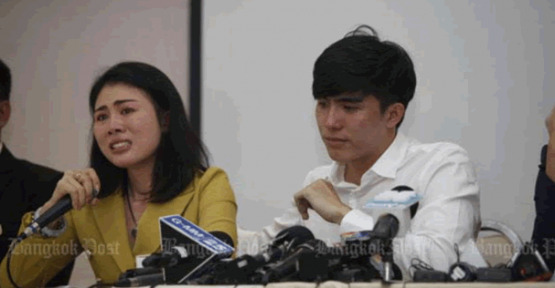 The main culprits accused of this latest crypto scam consist of a Thai family which claim they knew nothing of this crime and pleaded innocent in a court of law. According to the Bangkok Post, Actor Jiratpisit Jaravijit and his sister Supitcha were accused engaging in illegal stock trading and opening accounts for digital assets. Whilst denying the charges, she even said she had asked Mr Jiratpisit what bitcoin was after she was arrested. In the meantime, the family hired legal staff to represent them, but when asked if the family's transactions will be used as evidence to fight the case the lawyers declined to comment. There has been a massive surge in Bitcoin scams recently, many of them having to do with get-rich-quick scams such as Crypto Trader and Bitcoin Loophole. Unfortunately, this trend does not look like it will stop or abate any time soon.